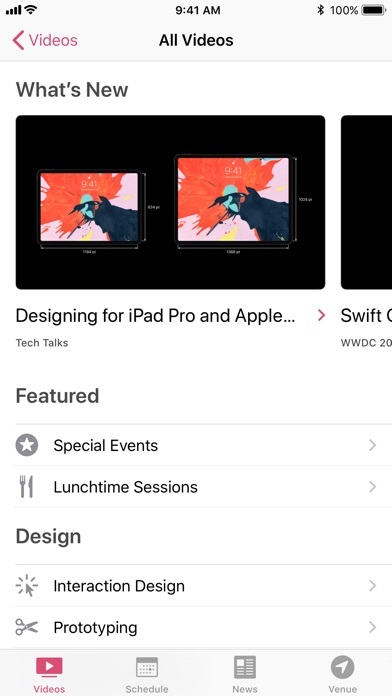 Make the most of the 2018 Apple Worldwide Developers Conference with the WWDC app. 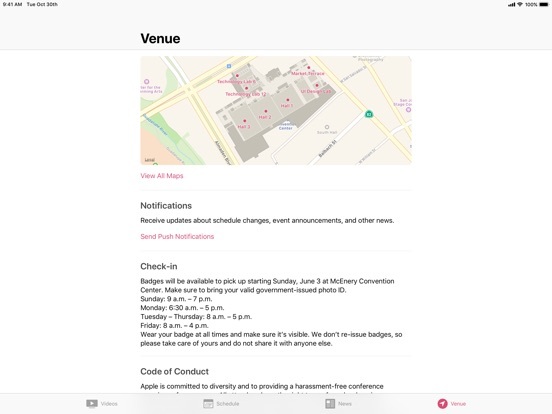 Even if you can’t join us in San Jose, you can still follow along each day on iOS and tvOS, and watch videos on demand throughout the year. 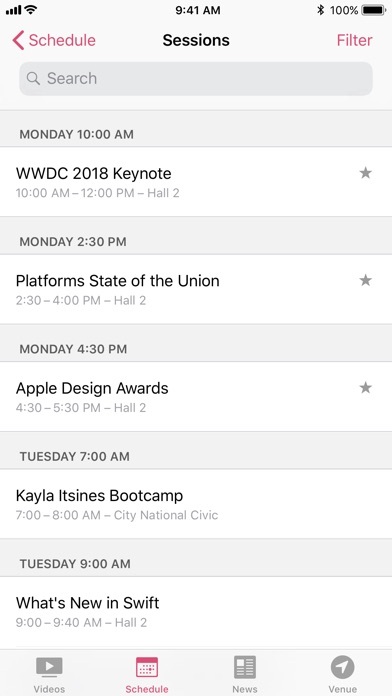 And because the WWDC app experience extends to Apple Watch, favorite session information is available right on your wrist. 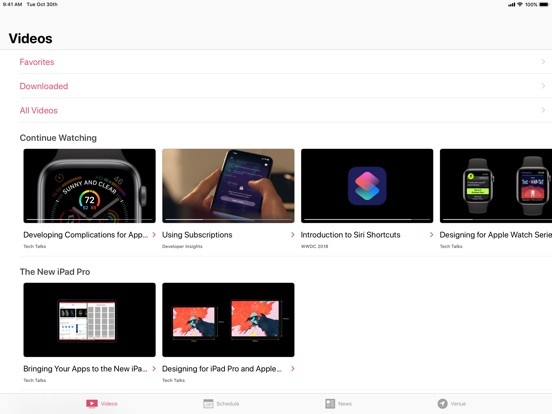 • Start watching on one iOS device, and pick up where you left off on another iOS device or on Apple TV. 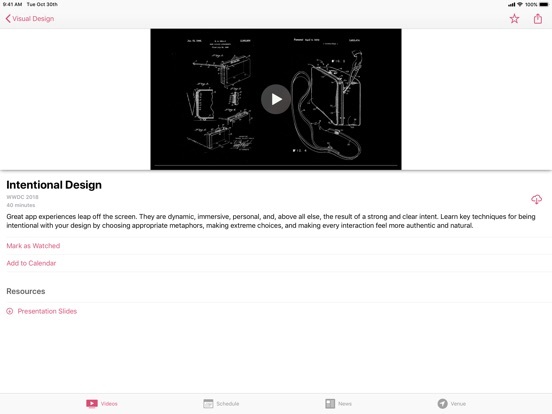 • Access resources, documentation, sample code and related content. 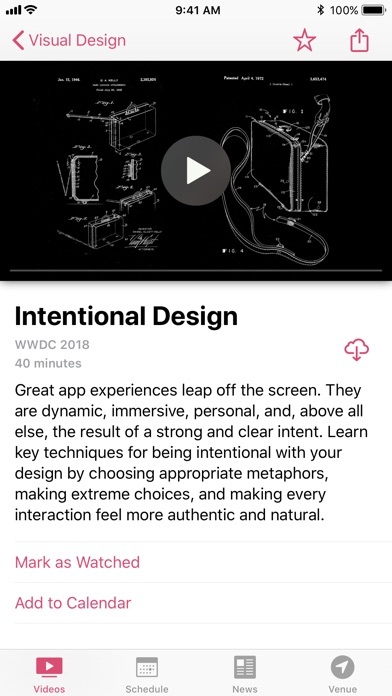 • Discover related sessions, labs, and videos. 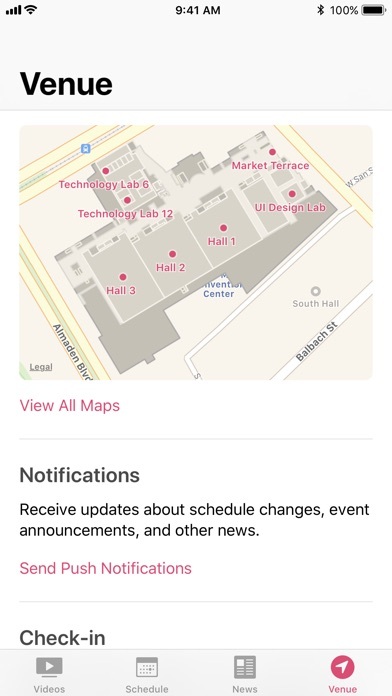 • Use indoor location to find your way around San Jose McEnery Convention Center. Thank you for your feedback. 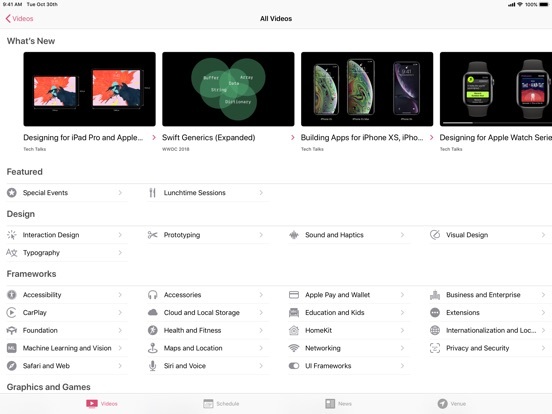 This update includes bug fixes and improvements, including home screen quick actions, a today widget, support for the new iPad Pro, and a “Continue Watching” collection that lets you easily find and play videos you’ve already started. 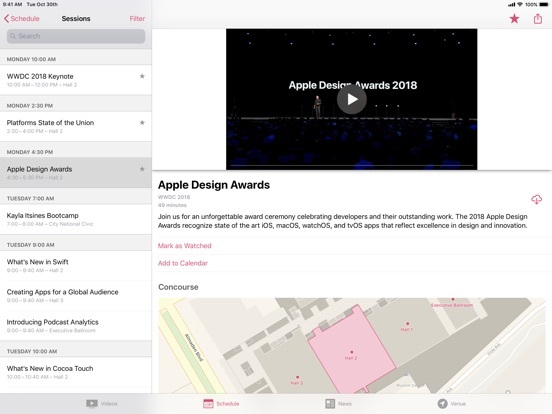 This update includes support for iOS 11 and iPhone X, as well as fixes for downloading videos and viewing photos. • Fixes an issue where previously downloaded videos were lost on upgrade. • Keeps previously downloaded videos available when switching between SD and HD settings. 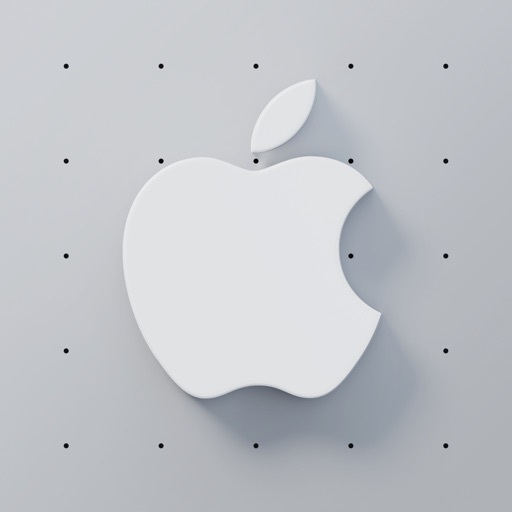 • Allows use of Handoff to easily move between iOS devices, or to Safari on macOS. 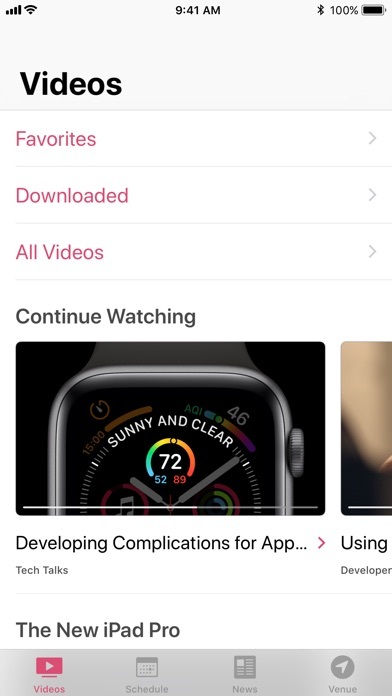 • Improves navigation on Apple TV when swiping up and down.